After taking a year off, I returned to E3 this week. It’s always a fun show, in spite of the fact that the show floor has come to rival Comic-Con in terms of the mass of people the show’s organizers are able to cram into the aisles of the convention center floor. We’ve been filing stories all week, but here is a very much incomplete collection of my thoughts on this year’s show. I’d have thought we’d have hit peak zombie years ago, but here we are, zombies everywhere. That includes the LA Convention Center lobby, which was swarming with actors decked out as the undead. There’s something fundamentally disturbing about watching gamers get pictures taken with fake, bloody corpses. Or maybe it’s just the perfect allegory for our time. A slight adjustment in approach certainly played a role, as the company has embraced mobile gaming. But the key to Nintendo’s return was a refocus on what it does best: offering an innovative experience with familiar IP. Oh, and the GameCube controller Smash Bros. compatibility was a brilliant bit of fan service, even by Nintendo’s standards. Microsoft’s event was a sort of video game blitzkrieg. The company showed off 50 titles, a list that included 15 exclusives. Sony, on the other hand, stuck to a handful, but presented them in much greater depth. Ultimately, I have to say I preferred the latter. Real game play footage feels like an extremely finite resource at these events. Certainly not a new trend in gaming, but there’s something about watching someone bite off someone else’s face on the big screen that’s extra upsetting. Sony’s press conference was a strange sort of poetry, with some of the week’s most stunning imagery knee-deep in blood and gore. We saw more footage and somehow we understand the game less? Indiecade is always a favorite destination at E3. It’s a nice respite from the big three’s packed booths. Interestingly, there were a lot more desktop games than I remember. You know, the real kind with physical pieces and no screens. I played Shadow of the Tomb Raider on a PC in NVIDIA’s meeting space. It’s good, but I’m not good at it. I killed poor Lara A LOT. I can deal with that sort of thing when my character is in full Master Chief regalia or whatever, but those close-up shots of her face when I drowned her for the fifth time kind of bummed me out. Can video games help foster empathy or are we all just destined to desensitize ourselves because we have tombs to raid, damn it? At E3 two years ago, gaming felt like an industry on the cusp of a VR breakthrough. In 2018, however, it doesn’t feel any closer. There were a handful of compelling new VR experiences at the event, but it felt like many of the peripheral and other experiences were sitting on the fringes of the event — both literally and metaphorically — waiting for a crack at the big show. Sony’s Control trailer was the highest ratio of excitement to actual information I experienced. Maybe it’s Inception the video game or the second coming of Quantum Break. I dunno, looks fun. We saw a few interesting examples of this, including the weirdly wonderful TendAR, which requires you to make a bunch of faces so a fake fish doesn’t die. It’s kind of like version of Seaman that feeds on your own psychic energy. At the end of the day, though, E3 isn’t a mobile show. Having said that, there are some interesting examples of cross-platform potential popping up here and there. The $50 Poké Ball Plus for the Switch is a good example I’m surprised hasn’t been talked about more. Along with controlling the new Switch titles, it can be used to capture Pokémon via Pokémon GO. There’s some good brand synergy right there. And then, of course, there’s Fortnite, which is also on the Switch. 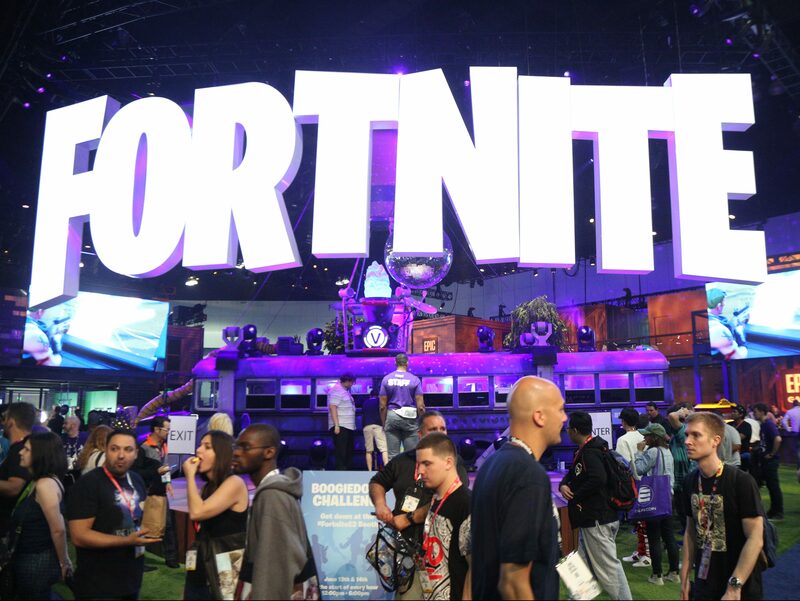 The game’s battle royale mode is a great example of how cross-platform play can lead to massive success. Though by all accounts, Sony doesn’t really want to play ball. Oh, Epic Games has more money than God now. Video games are art. You knew that already, blah, blah, blah. But Sable looks like a freaking Moebius comic come to life. I worry that it will be about as playable as Dragon’s Lair, but even that trailer is a remarkable thing.